All crucial points, pros and cons of the single bet and multiple bet are provided in the article. Single bet is a wager on a certain single outcome of an event. The bookmaker supplies the odds, and a subsequent win is reckoned by multiplying the amount of your bet and the odds for the particular outcome. 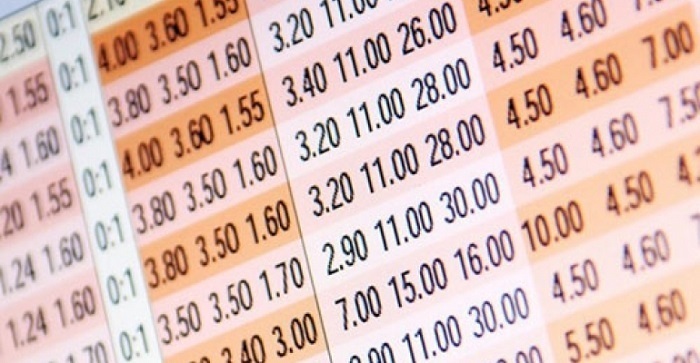 Since single bets are easy to manage, they’re really widespread and popular among bettors. All you need to do is to make a choice with a sport, league and event and select the outcome eventually. After you wait till event ends, it is reckoned. Today single bets are reckoned almost instantly. Benefits are quite vivid when it comes to singles, however, there is also a major weakness – low odds on particular outcomes. For example, if you wager the win of favorite in the clash with underdog, you won’t ever get a measurable profit. The reason is that the odds directly depend on the outcome probability. The higher the probability, the lower the odds. Exactly because of this reason bettors persistently leaning toward multiple bets. Parlay bet constitutes of a few singles consolidated into one general bet. However, the odds for all the outcomes are multiplied, which significantly enhance the earnings. 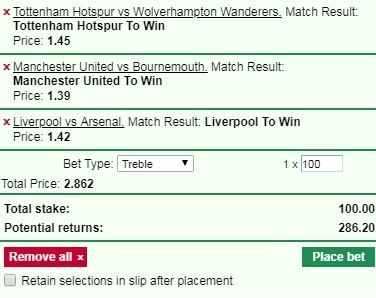 We joined singles into the multiple wager for the win of Tottenham Hotspur, Manchester United and Liverpool in the Premier League. All prices were multiplied by the bookie (1.45*1.39*1.42) and we got @2.862 eventually. The greatest asset of this bet type is obvious: more profit on certain outcomes from the multiple then from the single one. Though, if single encourages winning only one bet, parlay bet requires winning all outcomes at once. Today we’ve considered single and parlay bets, which posses reasonable benefits along with major drawbacks. Taking into account the peculiarities of these wagers, the bettor should define the best one to work with. We’d also like to remind you about Betting School section where to find the reviews of top bet types like Asian handicap, Both to Score etc.